Eden Hazard has claimed that Belgium's quarter-final victory over Brazil at the 2018 World Cup is the highlight of his career, as he prepares to make his 100th appearance for the Red Devils. 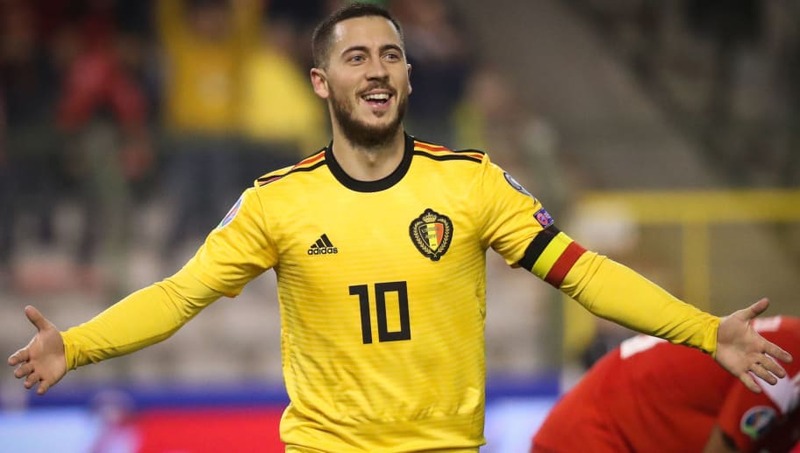 The Chelsea winger has scored 29 goals and provided 26 assists for his country since his debut in 2009, and has reached a century of international appearances in Belgium's game against Cyprus on Sunday night. Speaking to​ L'Equipe, Hazard stated: ''The victory against Brazil was my best game in the individual aspect as well as the collective one. I perfectly succeeded in everything I was trying to do. Just like the team. ''We were not seen as the favourites, as Brazil is one of the best nations. We had trouble in the second half and had a bit of luck too. But it's still the most accomplished thing I have achieved, all teams included. Because of the emotion we've provided to the staff and the whole country was extreme. That Panama game is also memorable to the former PFA Player of the Season, who explained: ''These are my first two goals in the World Cup, we won well and it's also one of my best games, to start our second participation in this competition, we did not win it, but we finished third.